For sale is a Vintage 1970s Ludwig Downbeat configuration 20/14/12 with matching 8 lug Jazzfest snare in blue sparkle. Great players condition! 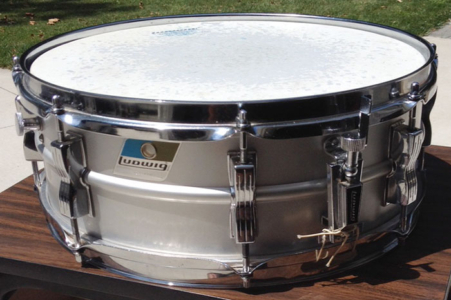 All shells in-round and feature original bearing edges in great shape. 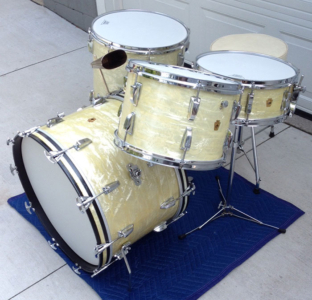 Interiors are all granitone except for the 12 with is clear maple. Wrap is brilliant, clean and tight with minor scuffs here and there. 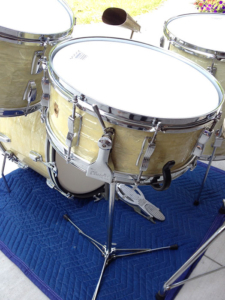 Seams are decent with one small wrinkle on the floor tom towards the top. 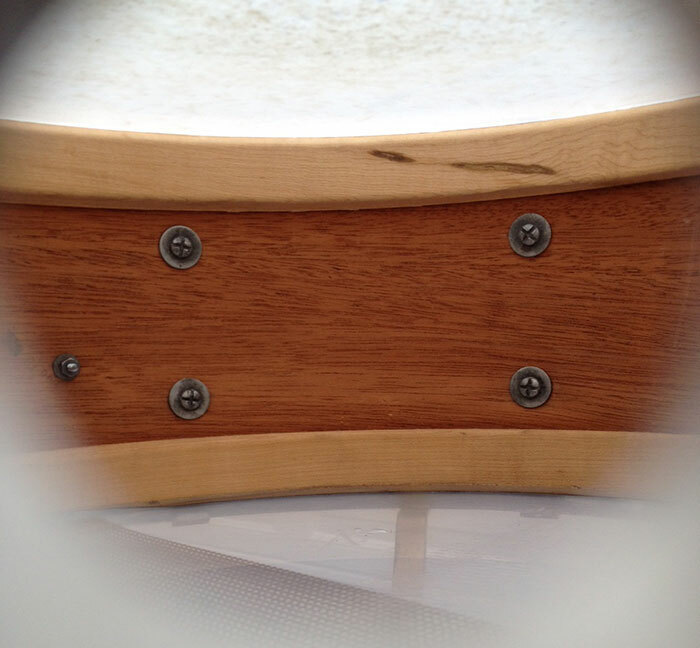 Very small wrinkle or two on the bass drum seams, but not noticeable. 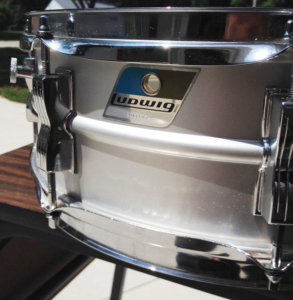 Chrome is pretty clean with minor oxidation. Could use a deeper detailing and polishing in spots. Not certain if tom post mount on bass was factory or post-factory. 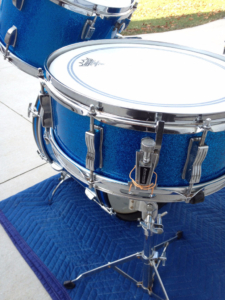 Newer snare wires on snare in great shape. 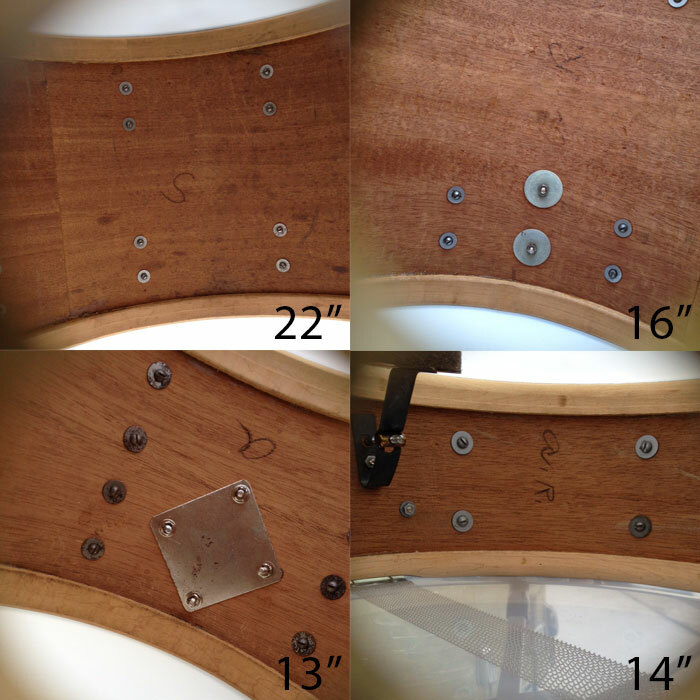 Snare stand shown is included and there looks to be one pin hole pierce on the snare bottom head. 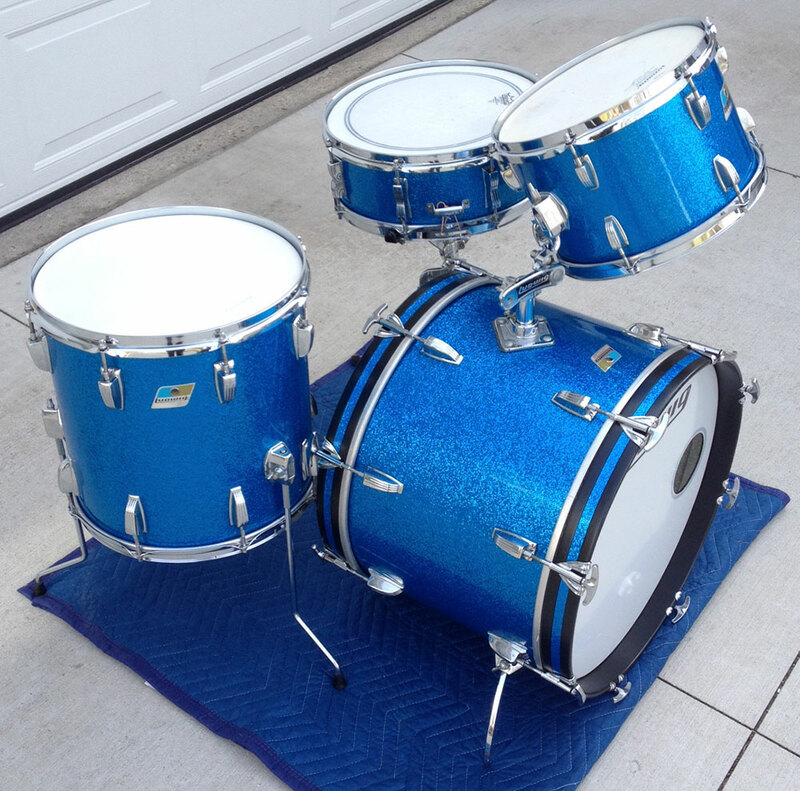 Could use new heads on entire kit. Batter toms heads look to be originals. All drums feature the Blue/Olive pointy badges with minor scuffs and serials are as follows: 20 bass #1342742, 14 floor #1344145, 12 tom #1117329 and snare #1066174. 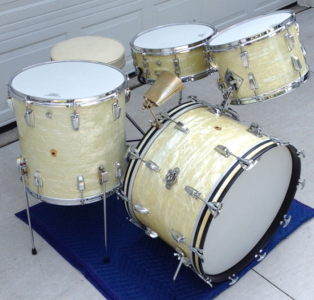 For sale is a Vintage 1950’s Ludwig WFL Buddy Rich Super Classic Kit in White Marine Pearl with chrome hardware. 22/16/13 and 14 Super Classic snare. 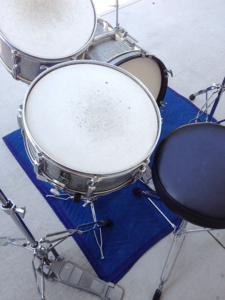 Absolutely beautiful players condition! 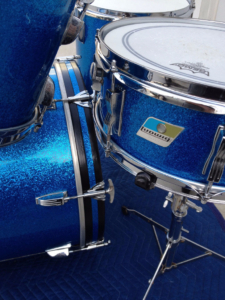 Features keystone WFL matching badges. WMP wrap is clean, tight and slightly yellowed. 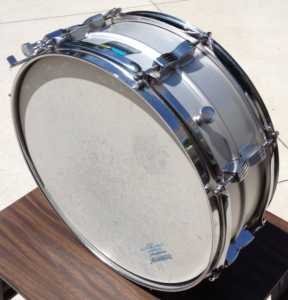 Couple of chips in outside wrap edge on bass drum which is hidden by the hoop. Chrome over brass hoops. Double cymbal arm mounts. 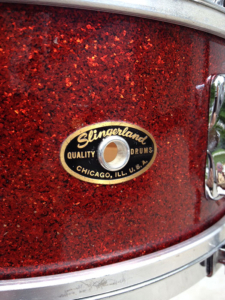 Minor scratches, oxidation and rust here and there. 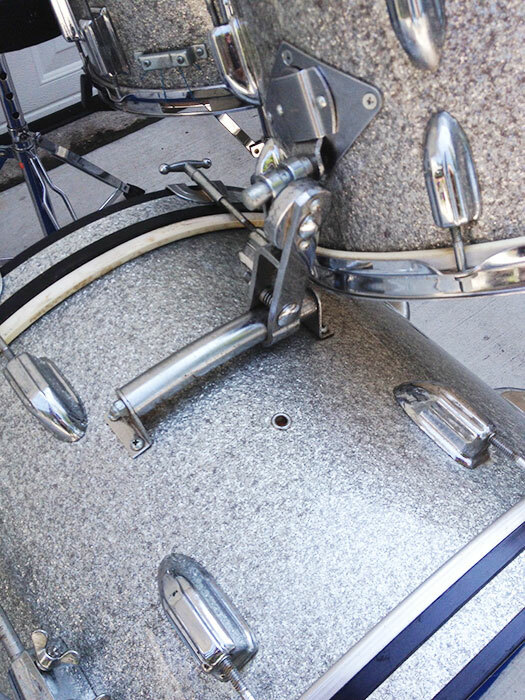 The worst spot is shown on the floor tom leg mount photo. Shells are in round and clean. 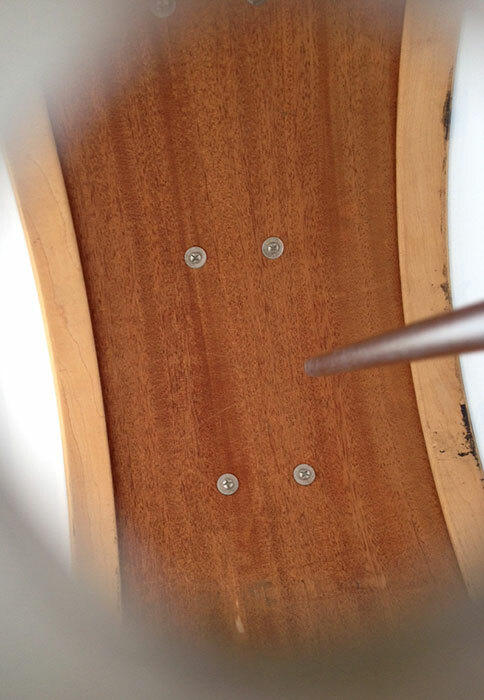 Bearing edges look original and in good shape. Some very minor separation starting on some of the resonant side edges. 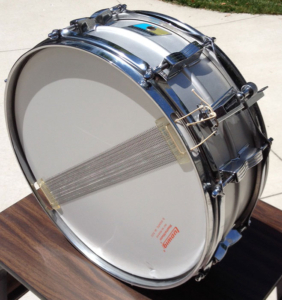 Batter side bass drum hoop not original. 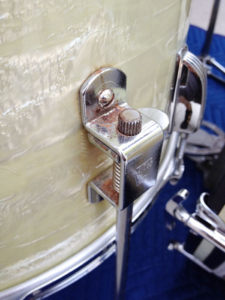 Six of twenty total bass drum claws do not have the original “WFL” letter stamping. 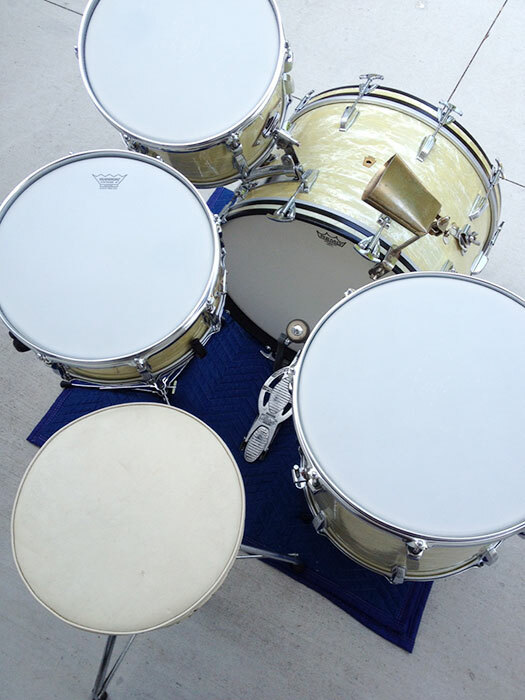 Brand new coated Remo Vintage Ambassadors on snare and tom batter sides, coated Remo Ambassadors on the rest. 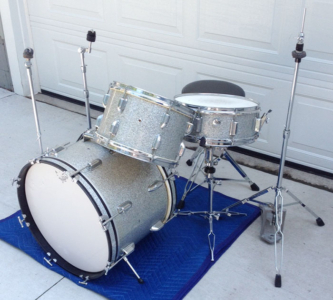 Includes snare stand, cowbell, cowbell mount, WFL Speed King bass drum pedal and throne, which I believe may be a Slingerland. 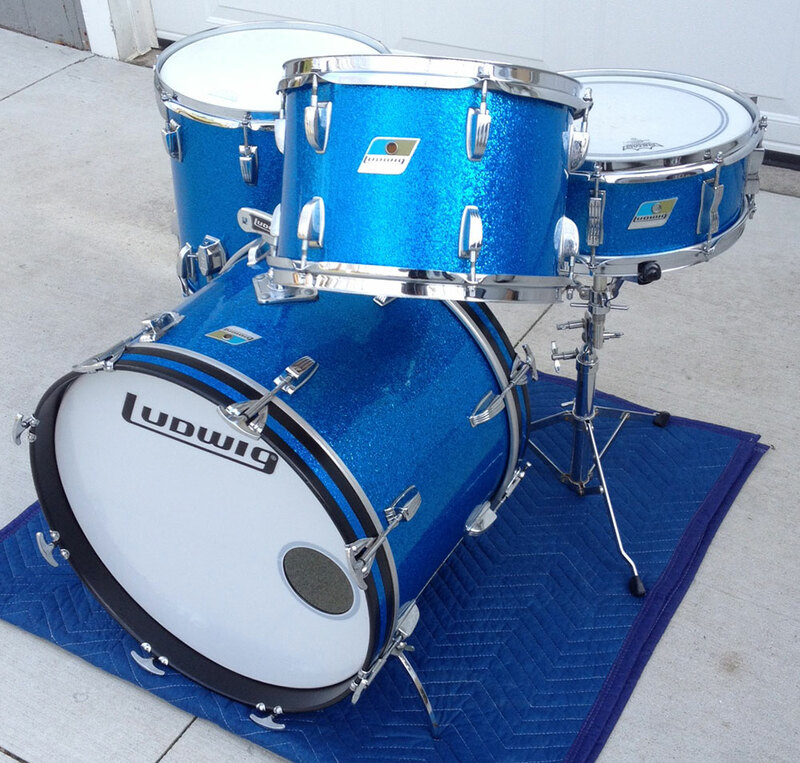 Overall a very sweet looking kit! 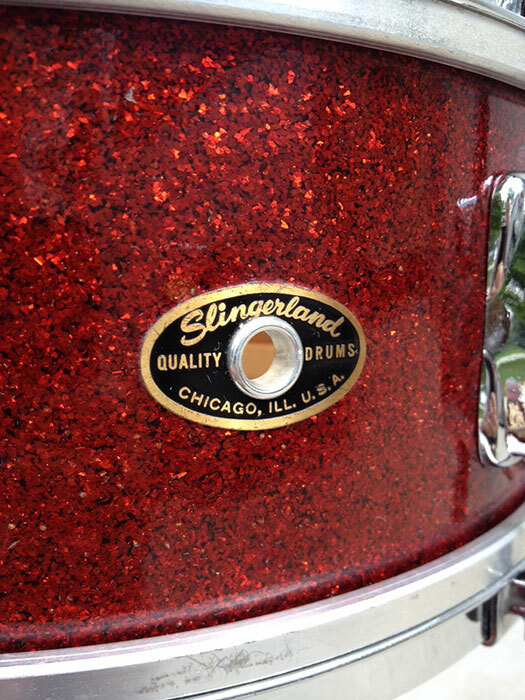 For sale is a Vintage 1950s Slingerland Red Sparkle Swingster 8-N Kit. 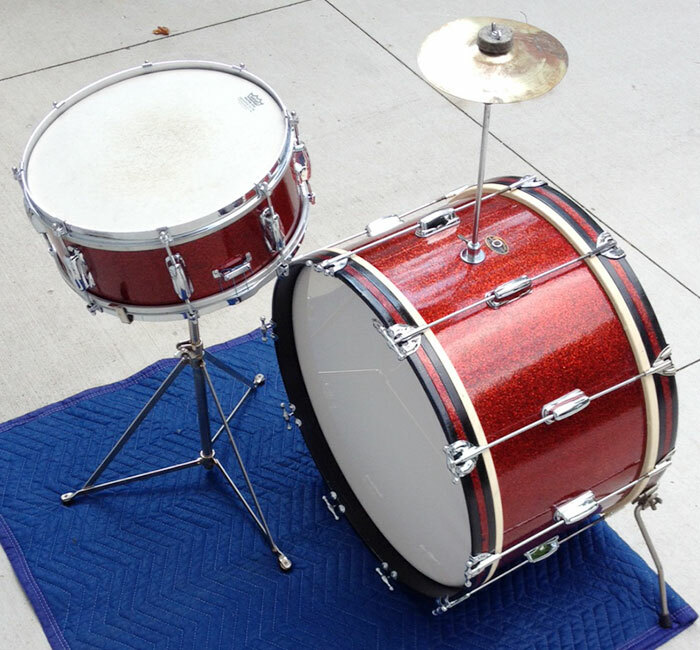 Features the 14 snare with COB single flange hoops and a 22×12 single tension bass drum. Superb players condition. Shells, bearing edges and wrap in beautiful shape. Date stamps present but hard to make out. 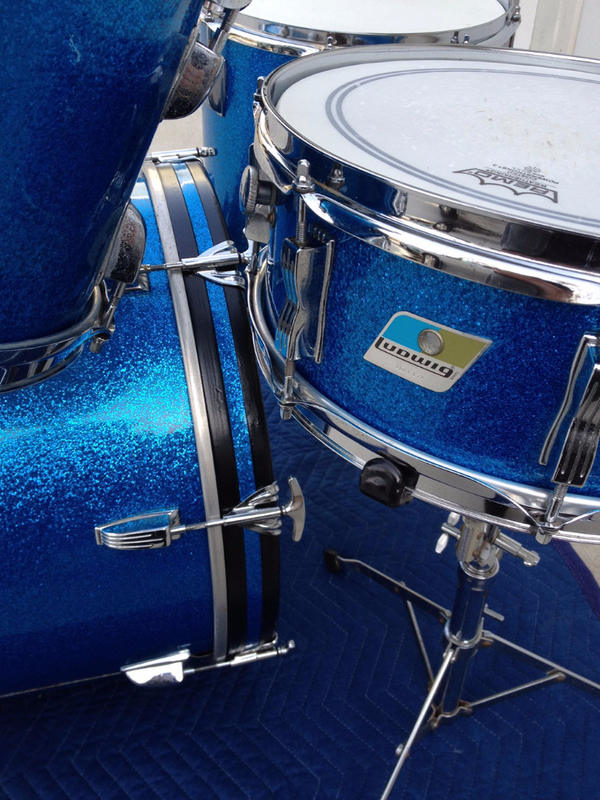 Minor oxidation and scratches on harware. 8 of the threaded bass drum claws appear unoriginal and could be Ludwig. New Puresound wires on snare. 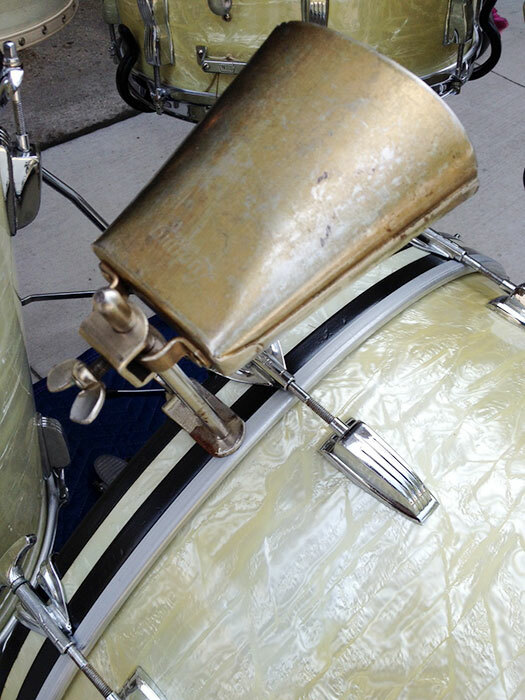 Includes original cymbal arm and clamp-on spurs. 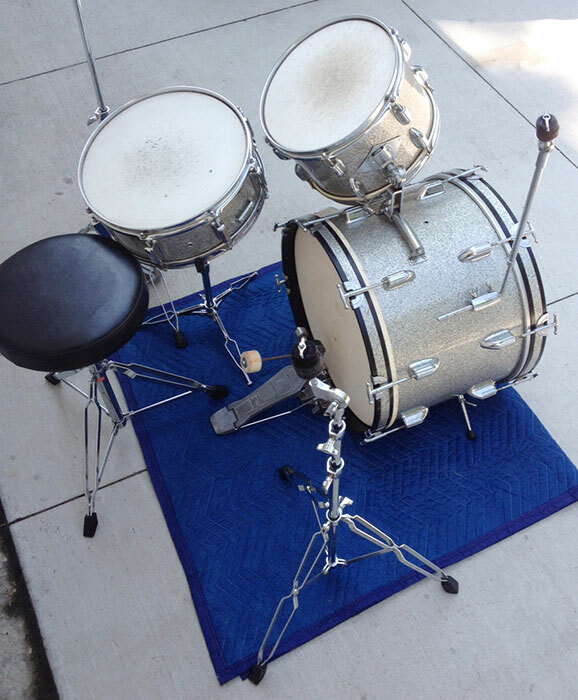 Throwing in a vintage Marvel snare stand and a 7″ CONN cymbal from the 1920s/1930s as shown. For sale is a Vintage 1960s Silver Sparkle MIJ (Made In Japan by Pearl) Stencil Kit in sizes 12/20 with matching 14 snare. Good players condition. Snare throw a little sticky and a couple tension rod inserts on snare seem stripped or possibly have aftermarket incorrect rods in them. 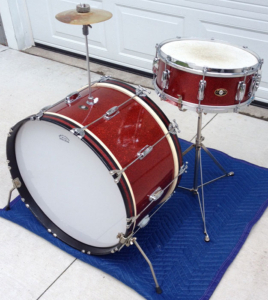 Could use new heads and a detailing but shells and wrap are solid. Some minor rust and oxidation. Includes all hardware shown. 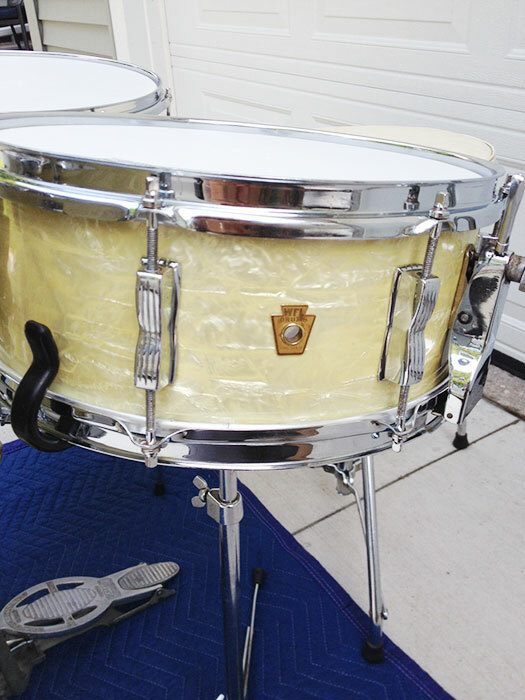 For sale is a Vintage 1976 Ludwig 5×14 Acrolite Snare in great condition. 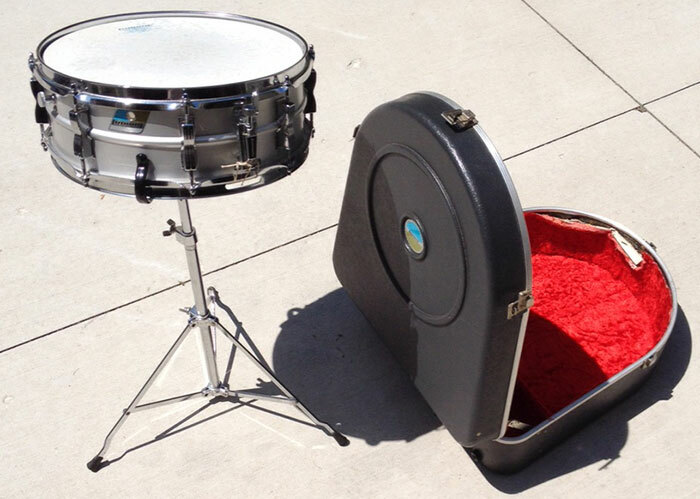 Everything appears to be original. Small pierce in the botton head. 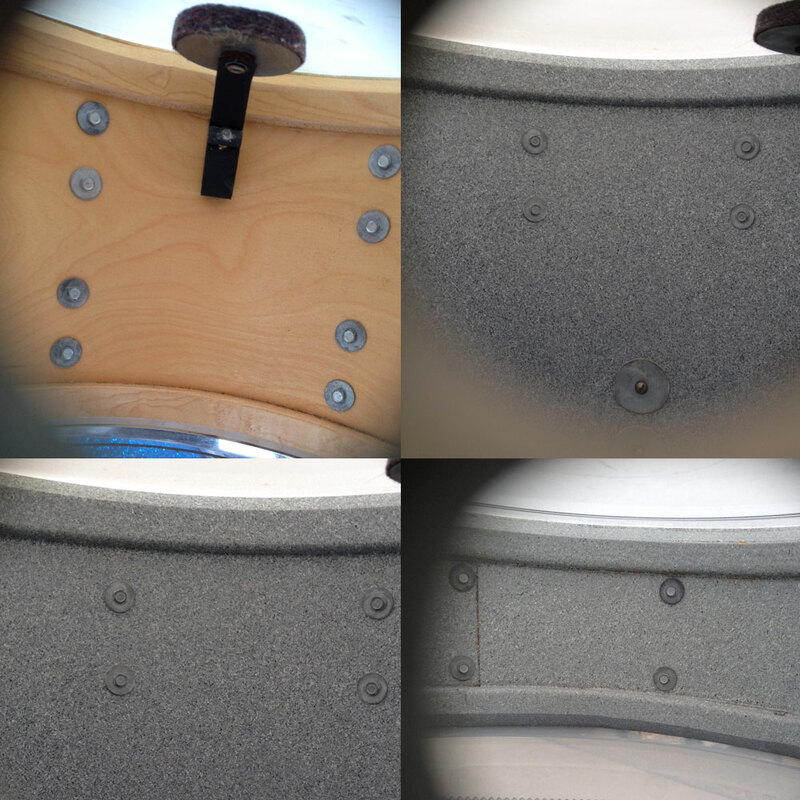 Shell is in round and features the standard 8 bowtie lugs. Chrome over steel hoops. Blue and Olive badge serial is 1031079. Includes original stand and hardshell case.